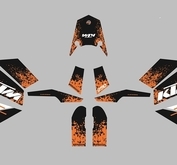 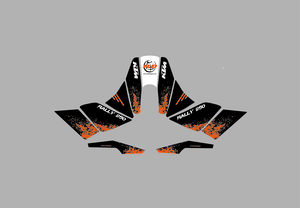 Complete 15-part decal kit for KTM SE in black, orange and white. 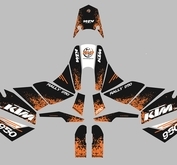 Made by HG Stickers! 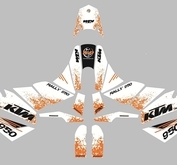 Complete and comprehensive decal kit for KTM SE with Marathon Kit in black, white and orange.